Note: In Japan, this drink is called ume juice or ume syrup. In Japanese, the word juice is used to mean any non-alcoholic drink. To mean fruit extract, the more accurate word kajuu is used. You will need alcohol to sterilize the jar. 1. Wash ume and soak in cold water for a few hours. 2. Remove “heta” (calyx) from each ume, with a toothpick or something similar. 3. Dry each ume, using dry cloth. 4. Put all ume in a plastic bag, and put in the freezer overnight. 5. Wash jar, and sterilize the inside with alcohol. 6. Put some sugar in jar first, then some ume. Repeat this step, making sure that you top it with sugar. Correction: Put some ume in jar first, then some sugar. 7. Leave jar in a cool, dark place, with some newspaper beneath it. 8. Shake jar once or twice a day. Ume drink will be made in one week to ten days. 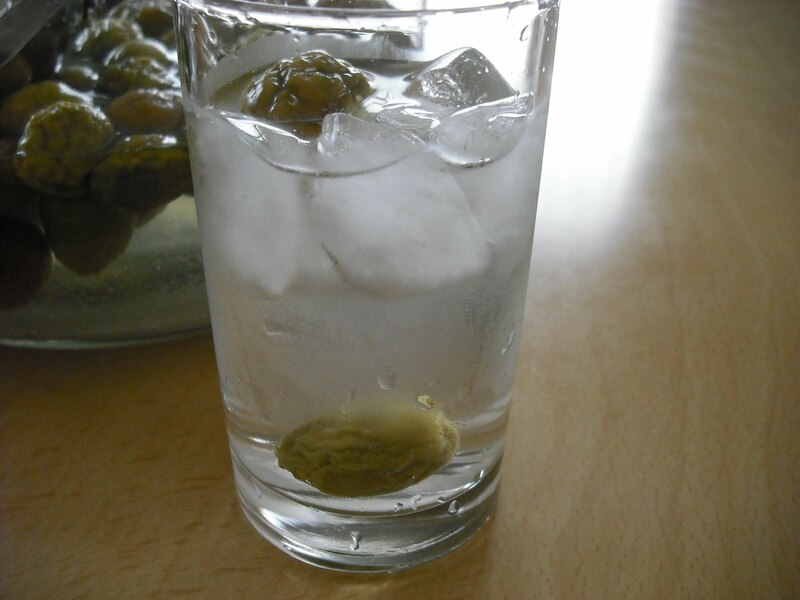 To drink, dilute with four to five times the amount of water. 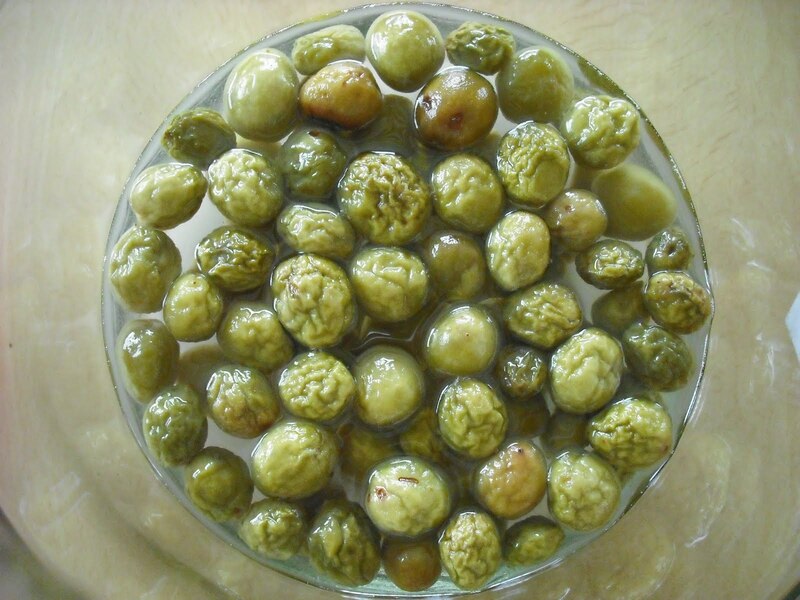 Some recipes recommend sterilizing ume drink at 80C for 10 to 15 minutes before storage. This is the “heta” of an ume. It’s rather time-consuming to remove the heta from each and every ume. Obviously, my jar was way too big for 1 kg ume. Almost all ume are now wrinkled up. I was a little disappointed by the flavor. I had thought it would be more sour. Some recipes recommend using the used ume to make ume jam. 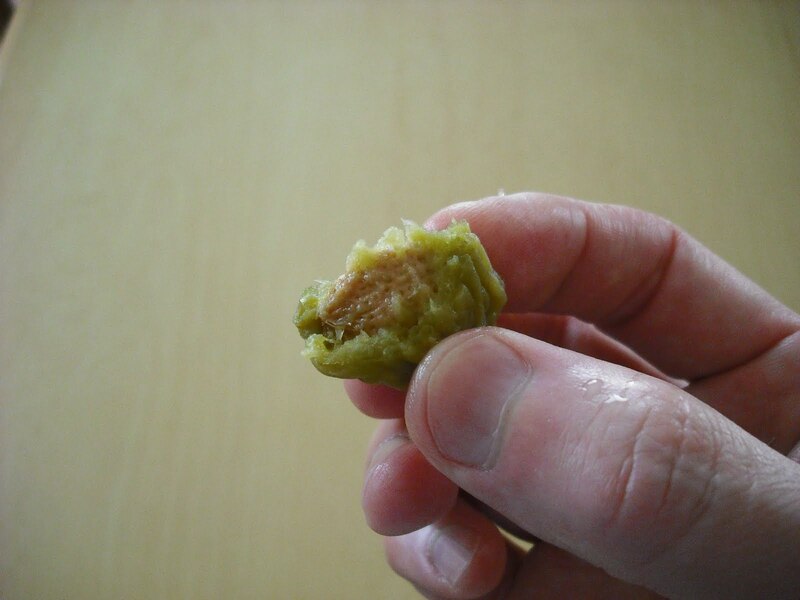 I tasted the ume, and decided not to. Not much flavor left.